This series for classes 11 and 12, provides an updated knowledge and comprises plenty of solved exercises and unsolved questions. 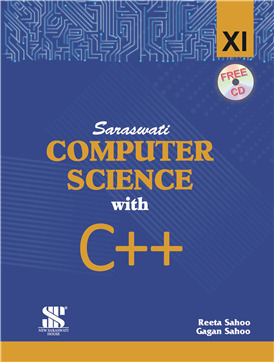 It includes complete and understandable explainations of the commonly used features of C++,. It also presents a contemporary approach to programming with stress on principles of good programming such as clarity, legibility and efficiency in program design. An interactive programming style is expressed throughout the series.